The 2015 Magnum 51 Bestia is one hot rocket. 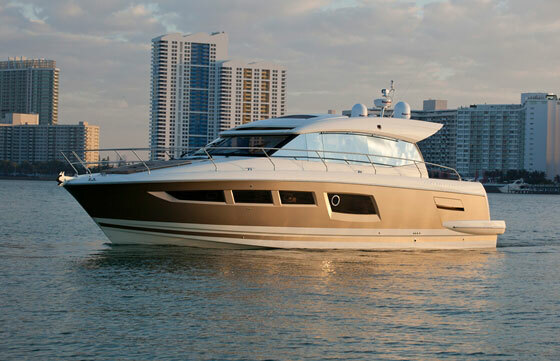 One look at the 2015 Magnum 51 Bestia, and you know this speedboat is something special. It's a no-holds-barred mix of luxury and raw power. It looks red hot, and packs a shocking 3,200 HP coupled to Arneson surface-piercing drives. Net result? A top end of well over 70 MPH. 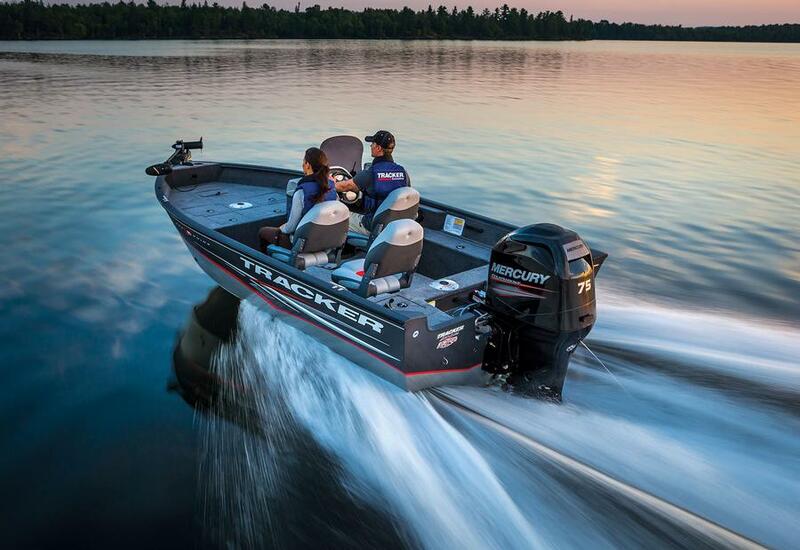 Okay, we all know that there are plenty of boats that can do these kinds of speeds—and then some. Very few, however, are in the 50-foot-plus class. Sure, there are a handful of builders, like Outerlimits Offshore Powerboats, that build speedy machines of more that 50'. But these are die-hard race boats, with little luxury and even less comfort at high speed. Same goes for those big racing power-catamarans, like the ones built by Skater. The Besita is simply in a different class; it's designed not to maximize speed alone, but to give a recreational boater the ability to go fast without giving up one iota in the comfort department. Want to see what we mean? 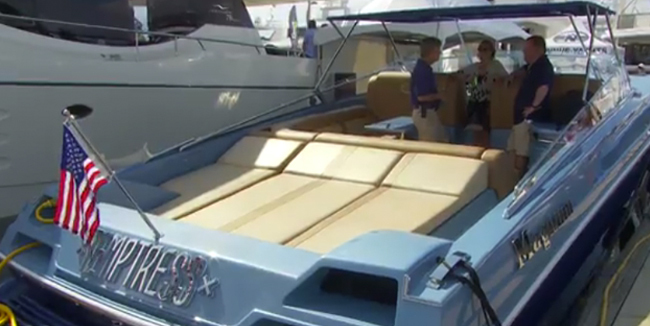 Join reviewer Gary Reich for a peek inside this one-of-a-kind powerboat, which he saw at the Fort Lauderdale Boat Show. As you can see, the interior of this boat looks more like a cushy cruiser than a lightning-fast speedboat. The same is true of the cockpit, which has a huge sunpad, a plush L-shaped lounge, and a dinette table. And we hope you also picked up on the monster-sized swim platform. 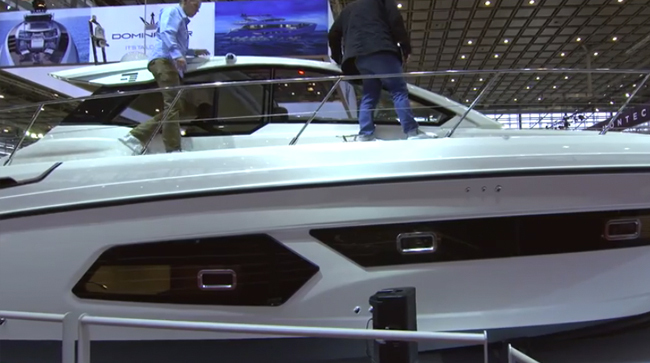 As one might expect with a boat of this nature, there are a lot more details on the Bestia 51 than Gary could cover in this quick one-minute video. That's why he also wrote a full review of this boat: Magnum 51 Bestia: Beauty and the Beast. If you want to get an unbiased, in-depth understanding of this model, click on the link and see what he has to say about the Bestia when time isn't so short. 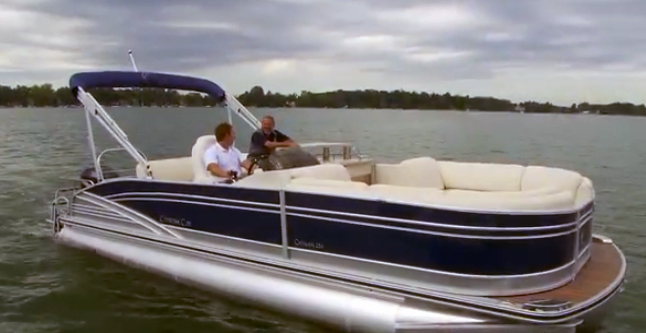 Of course, you could also always go to Magnum Marine, and get the company line. And serious shoppers can click on this next link and check out the Magnum 51 Bestia listings on boats.com.